“The Pink Panther. Such a prize he could never resist. He would be bound to try for it.” Inspector Jacques Clouseau proclaimed. 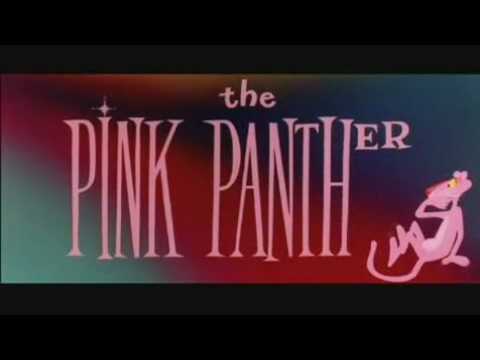 The movie The Pink Panther directed by Blake Edwards was not only a comedic success, but it spawned 6 films including two remakes of the original ideas. Peter Sellers played an excellent Inspector Jacques Clouseau and his formula of comedy isn’t practiced anymore today. I fondly remember growing up listening to the score by Henry Mancini and thinking how neat it was and how I loved the opening animation of each movie. The music is a part of the character of the film. If you saw the inspector sneaking along you could hear the music that went right along with him, almost like it lived in the film and played its part. Henry Mancini did the scores to almost all the films that followed the original. It truly was a success and everyone should see this film. The plot was simple…In this first film of the beloved comic series, dashing European thief Sir Charles Lytton (David Niven) plans to steal a diamond, but he’s not the only one with his eyes on the famous jewel known as the “Pink Panther.” His nephew George (Robert Wagner) also aims to make off with the gem, and to frame Charles for the crime. Blundering French police inspector Jacques Clouseau (Peter Sellers) intercedes, but finds his career — and his freedom — jeopardized. This is far before my time, and I feel I can at least comment about the music of the film. I enjoyed the whole series and love Henry Mancini’s score. You can find the soundtrack on Amazon. I hope you have enjoyed my post. Stay tuned for Thursday’s Post Woman in Gold. Henry Mancini was an excellent composer with a distinctive style. I’ve been a fan of his music for a long time now. My mom has the “Hatari!” soundtrack, so I heard it a lot as I was growing up.